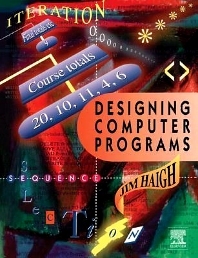 This is a book for students at every level who are learning to program for the first time - and for the considerable number who learned how to program but were never taught to structure their programs. The author presents a simple set of guidelines that show the programmer how to design in a manageable structure from the outset. The method is suitable for most languages, and is based on the widely used 'JSP' method, to which the student may easily progress if it is needed at a later stage. Most language specific texts contain very little if any information on design, whilst books on design approach the topic at too high a level for someone learning their first language. This inexpensive introduction to design can be used alongside whatever programming book suits the student's particular needs. All students learning their first computer language as part of an FE or HE course; A level computing; adult education programming courses. Glossary Introduction Structure diagrams The computer Repeats of repeats Menus and subroutines Arrays File processing Validation Program design language (PDL) Starting at the top Answers to exercises Index.